MAKE MOM "MELT" THIS MOTHER'S DAY! 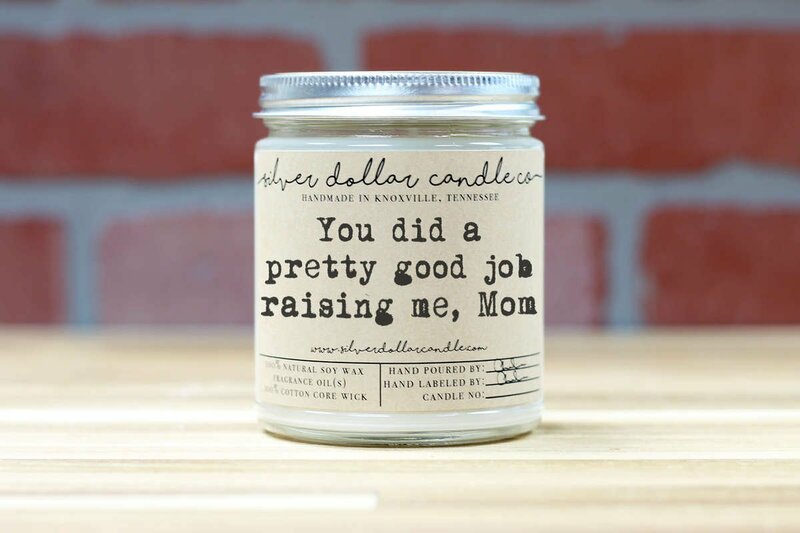 Whatever you have to say, we can turn it into a beautiful candle label. 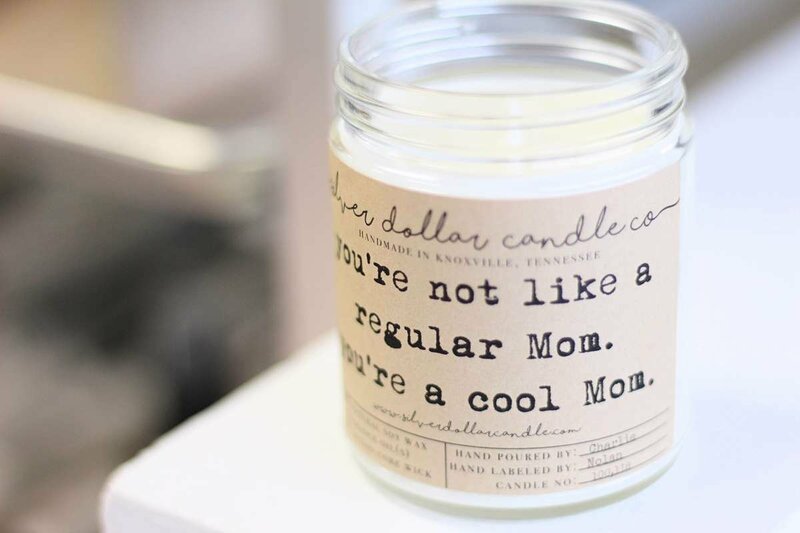 From inside jokes, to sweet quotes and everything in-between, with 12 fonts and over 30 scents to choose from. Available in 8oz or 16oz sizes! Stuck for something to day? We get it. No need to get creative- we already have. Pick from tons of great pre-made labels and over 30 scents that say it for you. Sometimes, a Candle says a thousand words. With over 30 carefully formulated fragrances readily available, you can be sure we have something Mom will absolutely adore. Cleaner burn than Paraffin based candles. Soy wax burns without creating the soot or smoke unlike other Paraffin candle brands or soy blends. We use the highest quality Fragrance Oils available, all free from Phthalates, Nitro-Musk and UV Inhibitors, frequently added to other candles. 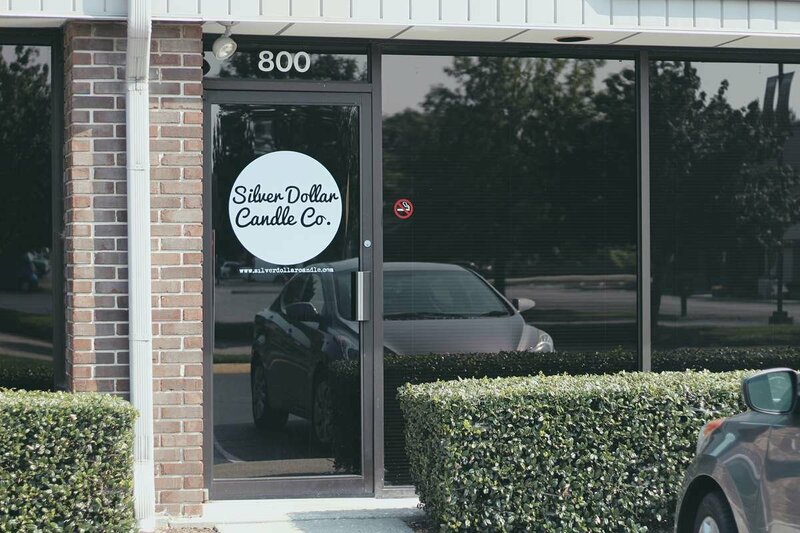 All of our products are handmade and individually numbered - making each Silver Dollar Candle Co. Candle completely unique! 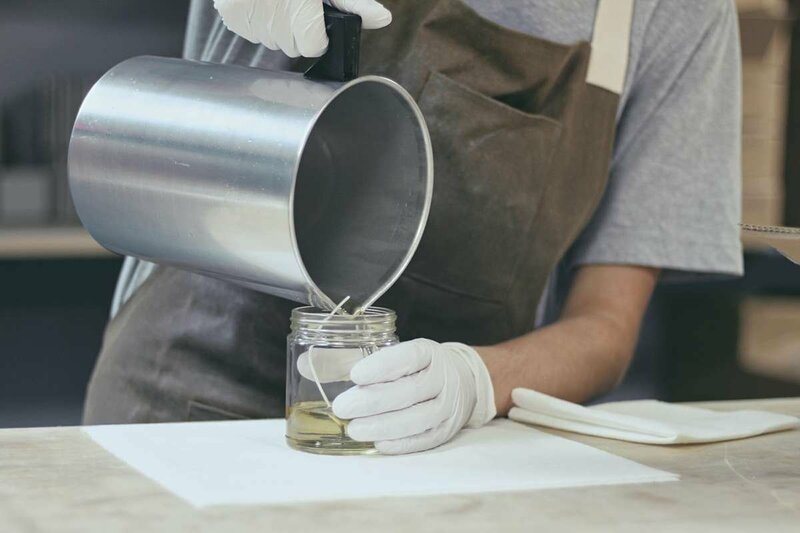 Soy wax is an excellent choice for those who wish to burn more environmentally friendly candles. 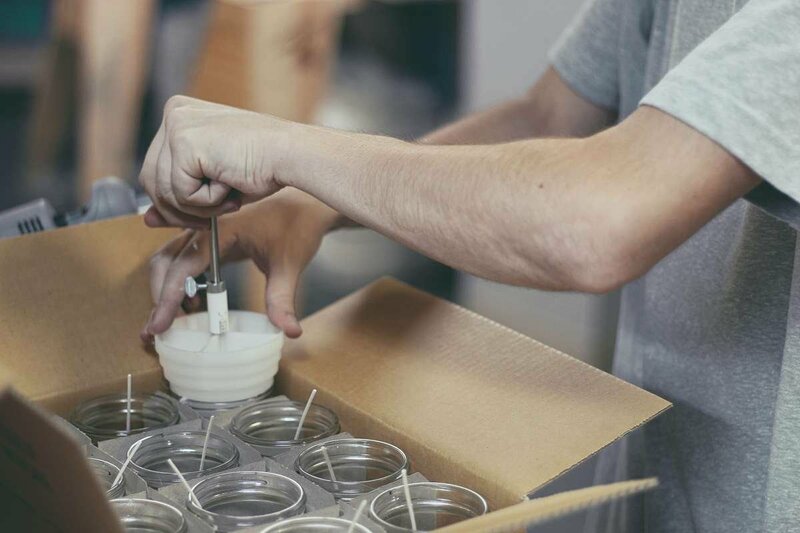 Soy wax burns cooler than paraffin wax, therefore increasing your candles life by burning for longer - up to 50% longer!